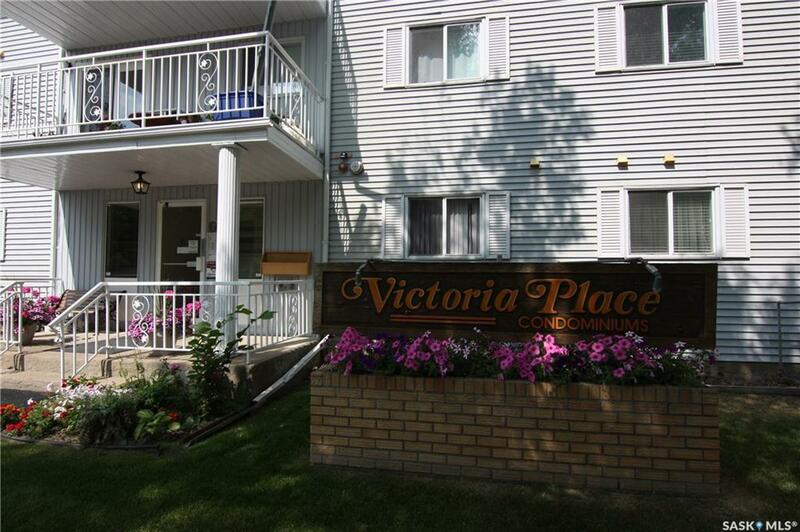 Very nice 2 bedroom condo in Victoria Place condominiums, adult only complex. 3rd level with a North facing balcony and an awesome city skyline view, patio doors off living room, 980 sq ft, in suite laundry with built-in cabinetry for lots of storage. 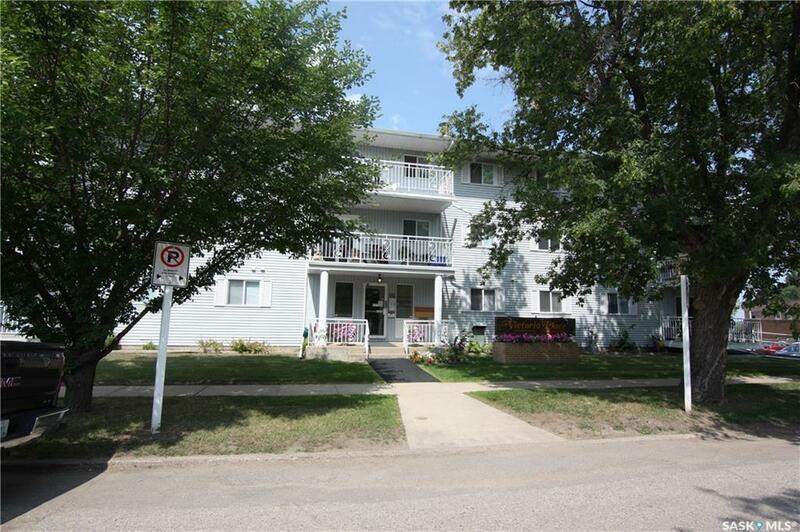 Condo has has been upgraded and is like new inside with oak cabinetry in kitchen and like new flooring throughout. Condo building has elevator and condo comes with 1 stall in heated underground parkade and extra storage unit. 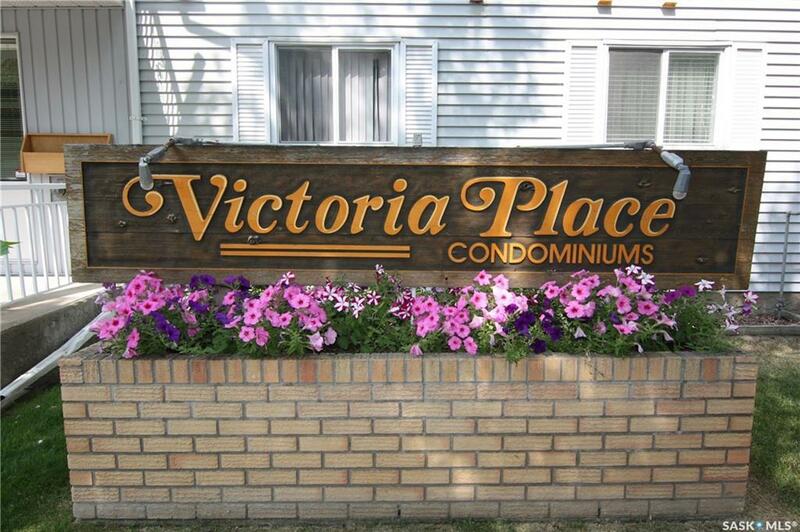 Condo fees include heat, water, lawn care, snow removal & garbage. All existing appliances are included. 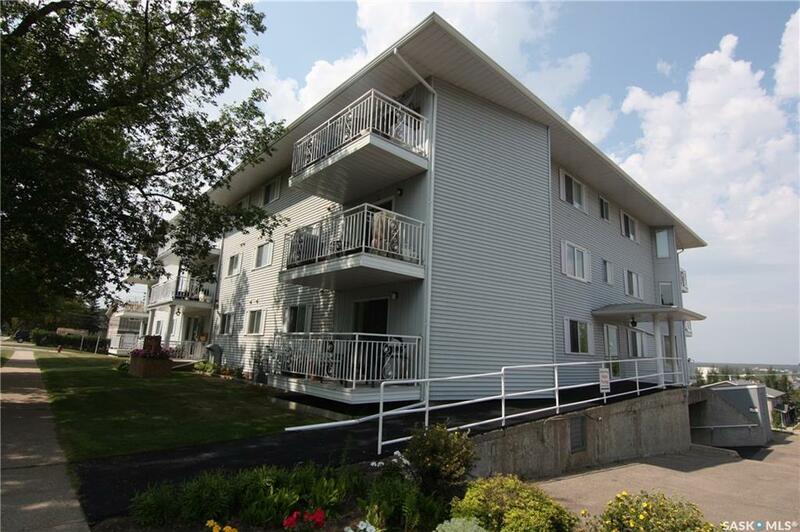 This condo is move in ready with immediate possession available.